Liza sits in for Simon Mayo on the Drivetime show with music, sport, travel and money news. Director of film at the British Council, Briony Hanson, took us back to the 30s and 40s talking about films representing the British war effort going online at last. She said these films give us a glimpse into a Britain that's very different and yet familiar in equal measure. Pauline McCole was on the money talking about mobile phones and wonky tomatoes, Mike Williams' sporting guest was top flight football referee Howard Webb and Sally Traffic kept us updated with the very latest travel news. 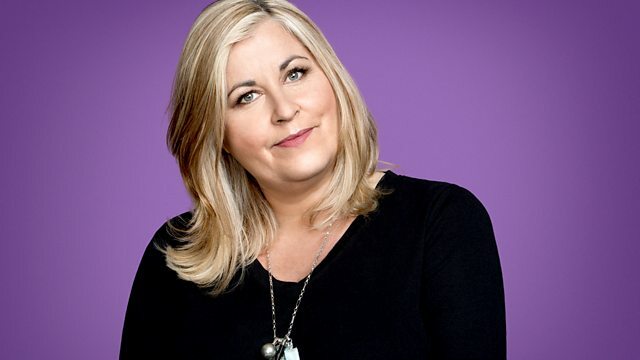 Liza Tarbuck sits in... with All Request Friday! Blue Smoke - The Best Of. Elvis Presley - The Collection Vol.3.